Is becoming a professional chef worth enduring the criticisms of Gordon Ramsey? Here are the latest TV show ratings for the Tuesday episodes of the Hell’s Kitchen reality competition. The 10th season of Kitchen Nightmares typically airs Monday and Tuesday nights on the FOX network. These are the TV show’s ratings for the 2011-12 season, the best way to tell if Hell’s Kitchen will be cancelled or renewed (though the show has already been renewed through season 12). Please check out our FOX Summer 2012 ratings report card to see how this show’s numbers compare with the others on the network. Final season ratings: 2.3 rating in the 18-49 demographic with 5.60 million total viewers. 2.6 in the demo (0% episode-to-episode change) with 6.17 million. Season averages: 2.33 in the demo with 5.60 million. 2.6 in the demo (+4% episode-to-episode change) with 6.23 million. Season averages: 2.28 in the demo with 5.51 million. 2.5 in the demo (+25% episode-to-episode change) with 6.02 million. Season averages: 2.22 in the demo with 5.36 million. 2.0 in the demo (-13% episode-to-episode change) with 5.07 million. Season averages: 2.15 in the demo with 5.20 million. 2.3 in the demo (+5% episode-to-episode change) with 5.51 million. Season averages: 2.20 in the demo with 5.24 million. 2.2 in the demo (+5% episode-to-episode change) with 5.34 million. Season average: 2.15 in the demo with 5.11 million. 2.1 in the demo (0% episode-to-episode change) with 5.3 million. Season average: 2.15 in the demo with 4.78 million. 2.1 rating in the 18-49 demographic with 4.87 million total viewers; second in the timeslot. Season average: 2.10 in the demo with 4.87 million. Reference point: The Tuesday episodes of Summer 2011 averaged a 2.6 rating in the 18-49 demographic and 6.13 million viewers. What do you think? 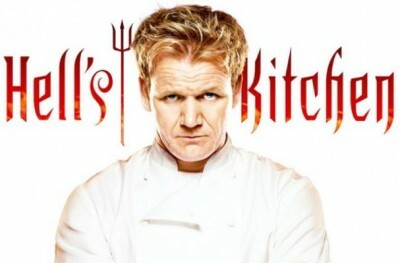 Do you like the Hell’s Kitchen TV series? How does it measure up to other cooking competition shows? No matter what the ratings are on Hell’s Kitchen, the drama will keep people interested even if it’s what some people would call “ghetto”. It definitely spices up my Monday and Tuesday nights and I’m kind of disappointed I’ll be missing it tonight.